BCT Group is a family-owned building company operating in Melbourne’s Inner West. Award-winning builder Bevan Uren established BCT Group in 2012 driven by a passion to create a construction company where the focus was on building respectful and transparent relationships with clients, contractors and suppliers. In 2016, his son Travis joined the company as a project manager. 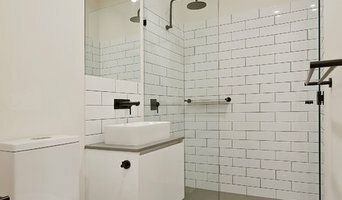 BCT Group specialises in alterations, additions, and renovations. We do extensive two-storey additions, residential and commercial renovations as well as small scale commercial fit-outs. We thrive on getting the job done within budget and on deadline. We use fixed price contracts and have an established team of professional contractors and suppliers who share our commitment to exceptional quality. Choosing to invest in a building project or renovation is a big decision and the process can be a daunting one. That’s why BCT Group provides you with all the information you need to make an informed decision when appointing a builder. You’ll get a detailed scope of works, budget, list of inclusions, schedule and preliminary contract as part of our project proposal. We’ll also support you throughout the building process by offering expert advice and keeping you constantly updated on the progress of your project through our regular site meetings. With BCT Group looking after you, you can tackle your building project with confidence and peace of mind. Z&H Building Development Pty. Ltd.
Z&H Building offers dedicated design and construction service to our clients. Our mission is to make your building journey as easy and satisfying as possible. At Z&H Building, we will exceed your expectations by utilizing the highest possible standards of designing and project management. Our previous experience has seen us successfully completing numerous designs and projects from tenancy fit-outs to complete buildings. Taking Comfortable Living and Energy-Efficiency to New Heights Providing a green sustainable building service to help create the living space of your dreams Beowulf Builders PTY LTD is an industry leader in thermal comfort and healthy living. Nominated for the excellence in building awards four times, they are a recognised Environmental and Sustainable Building Company. Specialists in taking an existing home and turning it as energy efficient and comfortable as possible. Reducing household bills and improving the environment that you and your family grow up in. Beowulf Builders are passionate about Green Efficient Building for the sake of future generations. At Hilstin, we bring the value, punctuality and innovation of a large builder, with the superior workmanship and personal attention that only a boutique-sized firm can offer. From Initial Design and concept through to handing over the keys, we can guide you through the entire Building and Design process. 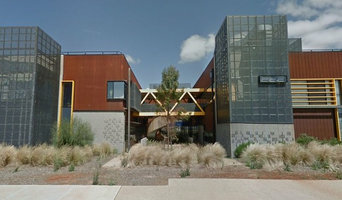 Thomas Archer Homes are a boutique building and design company owned and run by Director’s Frank Tarulli and Matt Daly. With over 30 years combined experience in the building industry, Thomas Archer Homes are built to last a lifetime and capture the essence of a stylish, relaxed and contemporary Australian lifestyle. Each home is designed with the ultimate layout and floor plan in mind, to ensure a harmonious flow from the minute you step inside. It’s the incredible passion and attention to detail that is evident in every Thomas Archer Home that sets us apart and is distinguishing Thomas Archer Homes as a name synonymous with quality and architecturally inspired designs. From the first consultation you will be offered a very personalized service, a service that will continue through your design and build, right to your final handover and beyond. Our clients are the most important asset to our business and we pride ourselves on working closely and collaboratively with you to achieve your dream home. AlphaQ Property & Construction is a one stop shop building and development company. We can guide your project from land purchase to hand over, for investors we even offer a rental management service. Town planning, building permit, sub division management and of course, budget conscious construction. Based in Melbourne’s inner eastern suburbs, Makhmalbaf has a reputation of delivering spectacular homes with amazing attention to detail. Makhmalbaf specialises in custom built luxury homes for clients who appreciate a passion for building in a market dominated by volume builders. 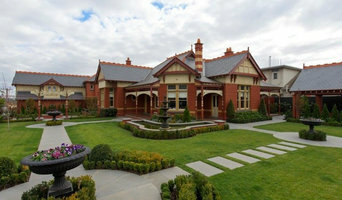 Luxury custom home builder servicing Melbourne for over 25 years. Whether one home or 16 townhouses, our promise to you, as your dedicated builder, is a one-of-a-kind custom home designed and built with the highest level of design talent, personalized service and premium, top-of-the-line building materials. 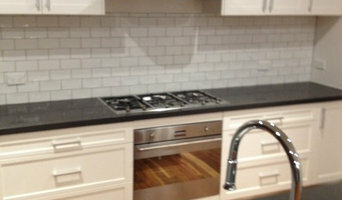 ABH is a custom house builder based in Melbourne, Australia. ABH has the capability to handle all types of residential work. Whether it be a complicated renovation/extension, a multi residential development with basement or a highly detailed architectural designed home, ABH specialise in all facets of building. ABH’s reputation for both skill and integrity has resulted in achieving distinction for there capacity to deliver high quality and high complexity building works. This has led to numerous HIA top home awards and industry admiration over Albert’s extensive career. The director Albert Bardoel, has a career spanning over 40 years with a portfolio in excess of 2000 completed homes & projects. ABH is a third generation builder with Albert’s father having started operations in the 60’s and Albert’s son David, currently project manager for the company. Our team consists of a full time site supervisor (Brendan), project manager (David), estimator/contract administrator (Anton) and labourer (Tony). Whether you have plans already to build your dream home/project or simply want to know where to start to take your first steps in the whole process, please feel free to contact us. Dimona Constructions is a rapidly expanding building company which has developed a reputation for quality, timely service, and competitive pricing. Dimona Constructions is quickly becoming a well-respected and sought after building company of luxury homes in Melbourne. We pride ourselves on attention to detail, extensive industry knowledge and have excellent communication with our clients and contractors. We are committed to overseeing every aspect of the project and with continuous training always aims to stay on top of new ideas, innovations and designs. At Dimona Constructions we are a passionate, hardworking and motivated team who is always ready to help build your dream home whilst making the building process a positive and satisfying experience. Whether renovating or restoring, creating your new dream home or redesigning your outdoor living space Richard Lewis's eye for detail, excellent communication skills and commitment to quality, ensures all Lewis Grant Builders' projects are completed in a timely and professional manner. Utilising a team of local skilled contractors, Australian made materials where available and limiting concurrent projects enables us to deliver construction excellence.